Point Cook has a very active U11 program. In 2018/19 we intend to run 5U11 teams. To qualify for this competition players must have a Date Of Birth after or including 1 SEPTEMBER 2007 and minimum age is 8 (exemptions can be granted in very special circumstances). Player registrations will open in August after our coaching group has been decided. Matches will start in late October on a Friday Night from 4.40pm and Sunday morning from 9am. Players will be required to play at home i.e. Saltwater Reserve / Dunnings Road, as well as playing away every second week, this will require you to travel to other grounds in the Western region. Note players must be available to play at home and away. The objective of the club is to ensure that all under 11 players “have a fair go” and bat and bowl during each match. This year the WRJCA U11 competition will have the following parameters. Prior to the first match the Coach and assistant Coach will draw up a batting order. This will remain the order for the season. After each game players will move down three positions and over the course of the season will experience batting in all positions. If a player misses a game they will miss batting and bowling in that weeks particular spot and the player that takes their spot in the side will play in the missing players position, on the players return they will play in their next allocated position. The bowling order is the reverse of the batting order. Every team needs a coach and a U11 coach is a great way to get involved at PCCC and a great way to experience junior coaching we welcome all interested parents to PCCC regardless of your experience. The more people that we can get involved in each team the better each team will perform.. If you have already played the game coaching presents an opportunity to share your experience and knowledge with others and give back something to this sport. All of our coaches must have working with children check and be prepared to complete a level one accreditation course. The cost of the course will be covered by the club. 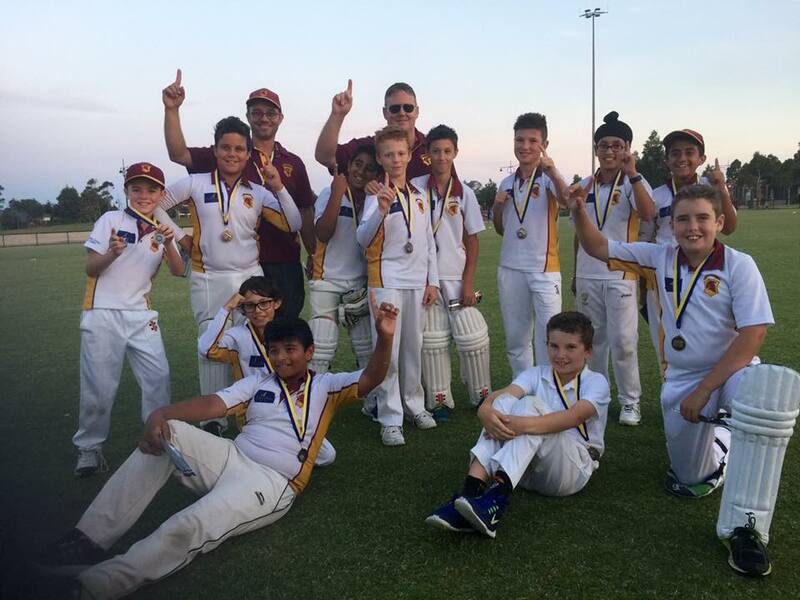 Coaching a junior Cricket side is a very rewarding experience and a terrific way to make new people. Each player will receive a T20 big bash "Renegades" membership. This membership will admit you to two Renegades matches. Players are required to purchase a team top, a protector and a Cap. The club will make available Bats, Pads and helmets for players that do not have their own gear. However most players have their own equipment. If you are planning on purchasing equipment we would suggest that you acquire Cricket gear that is correct for your Son or Daughter now. Do not buy Cricket gear that you’re Son or Daughter “will grow into”. Most of the major brands ie Gray Nicholls and Spartin have some fantastic kit offers which would suit most first time Cricket players. If you are unsure of what to purchase all of our Coaches would be very happy to advise you. For further information please feel free to contact one of the following.